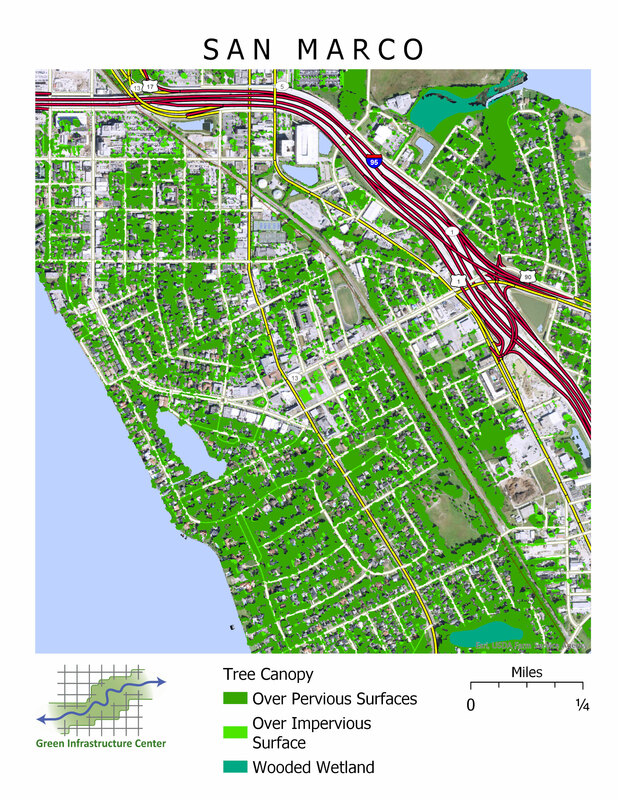 Study suggests green infrastructure may solve city problems - The Resident Community News Group, Inc. | The Resident Community News Group, Inc. 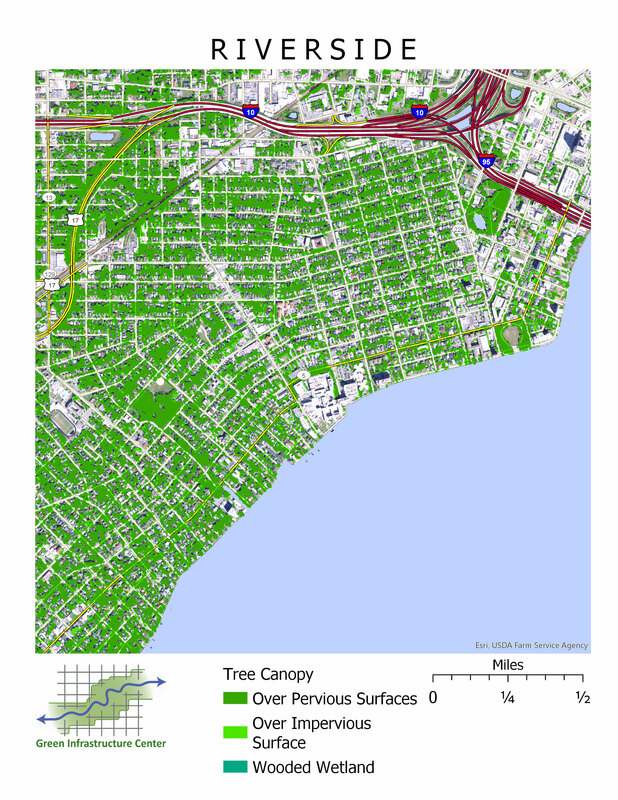 Although nearly half of Jacksonville is covered in trees, only 12 percent of Downtown has an adequate urban canopy. 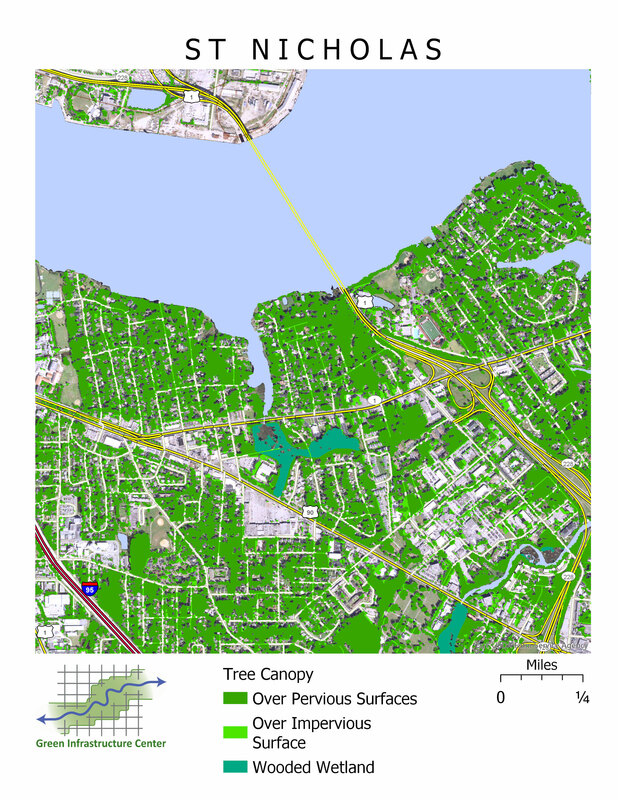 “We need to change our land cover so that water can better infiltrate,” she said, noting trees planted in open spaces soak up more liquid than those hemmed in by impervious sidewalks. 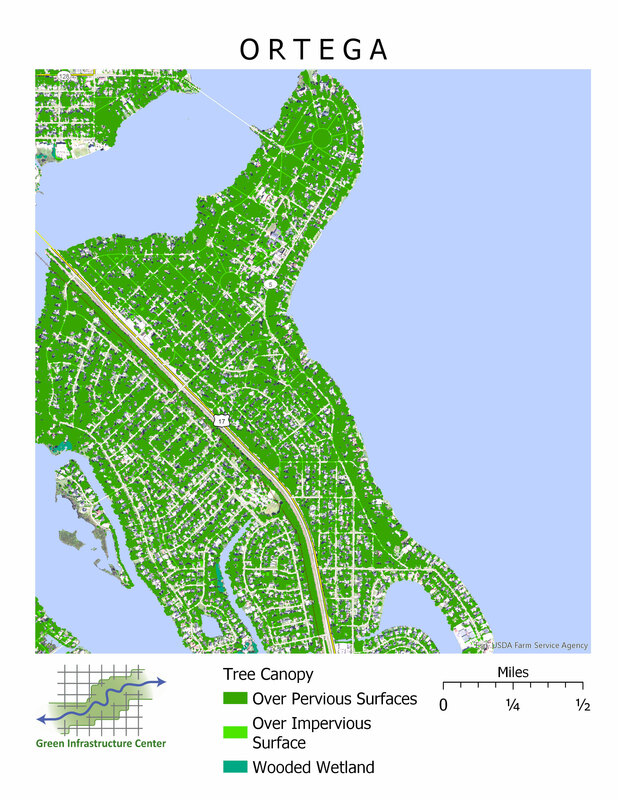 “Cities are tending to lose their trees to development and storms. We are not planting them fast enough,” she said. 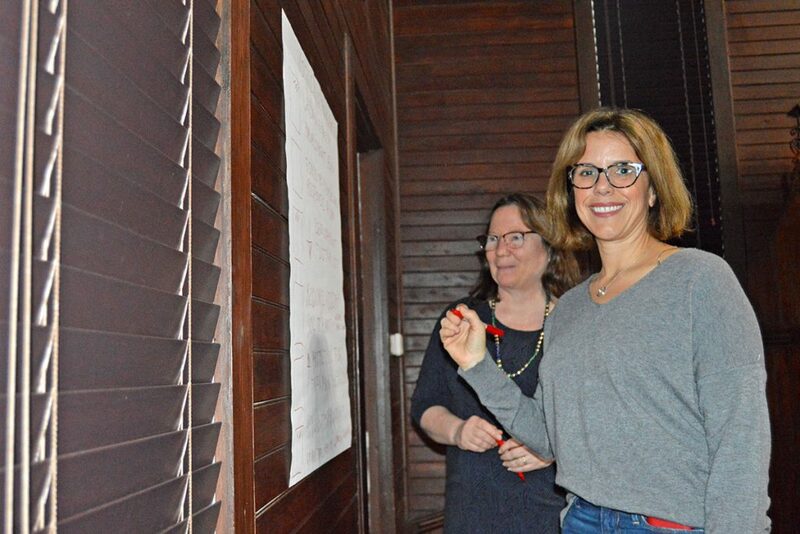 Because most of the City’s land is not publicly owned, it is necessary to work with businesses, neighborhood associations and private property owners to get the required result. 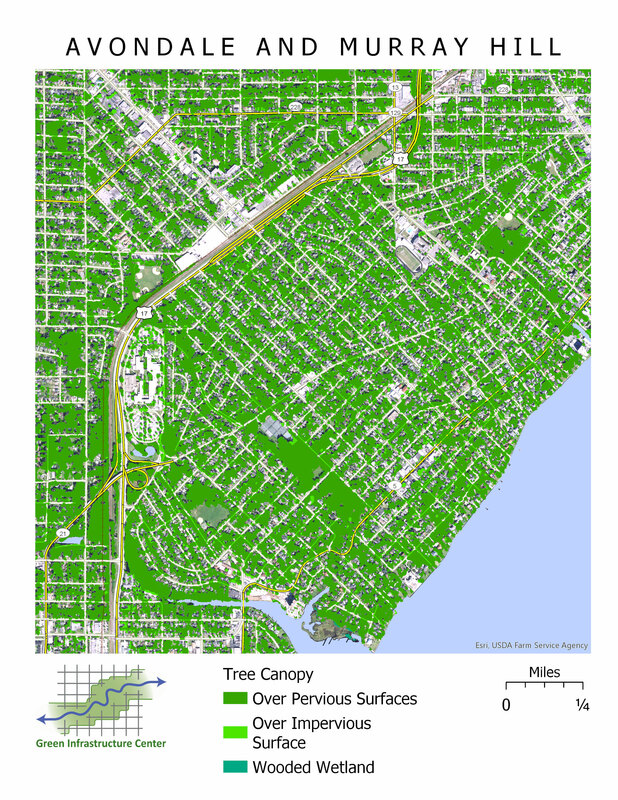 The Green Infrastructure study analyzed the canopy within each watershed by dividing the City into one-meter by one-meter squares to see how the trees are “sitting,” and analyzing every street in Jacksonville to determine how shady it is. “A conservative estimate is to have 20 percent of the street covered by shade,” she said. 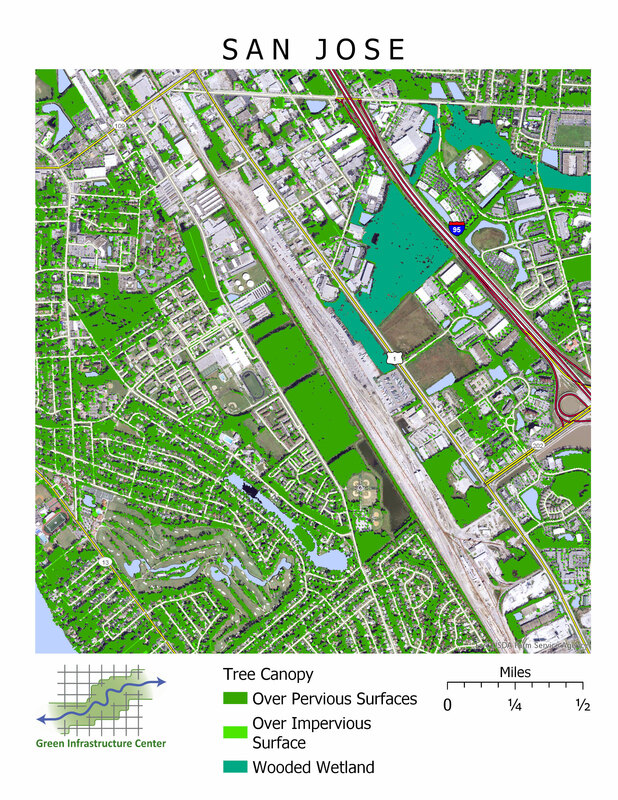 During the meeting, Firehock made several recommendations to how Jacksonville residents can improve their urban canopy. The average urban tree only lives approximately nine years because it is not planted with enough space to spread its roots. Firehock recommends the City consider how much “volume” it gives its trees when they are planted. Firehock also suggested the City consider shrinking its development footprint to leave more vegetation when it approves new developments and that it reconsider its parking standards, as to not build lots the size to accommodate Black Friday shoppers. “There is technology that can be used – reinforced grass people can park on,” she said, adding existing parking lots can be jackhammered so trees can be planted. “Pavement lasts longer when it is shaded,” she said.